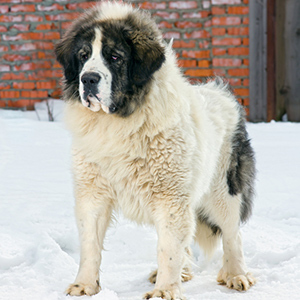 Lovers of the Newfoundland, and Saint Bernard will appreciate the thick, dense and cuddly coat of this gentle giant. Affectionate, devoted companion with good guarding instincts. Is typical of a livestock guardian, possessing a natural protective instinct. 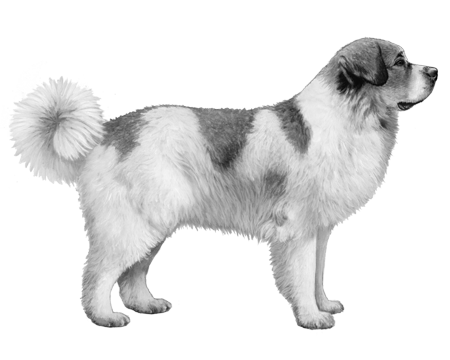 The true origins of the Pyrenean Mastiff are unknown, but like many of the Molosser dogs they are thought to have been brought to Spain by the Phoenicians over 3000 years ago. These giant-breed dogs worked as livestock guardians, protecting the flocks as they migrated back and forth from summer to winter pastures. Fast-forward many centuries to the 1940s, when the Pyrenean came close to extinction. 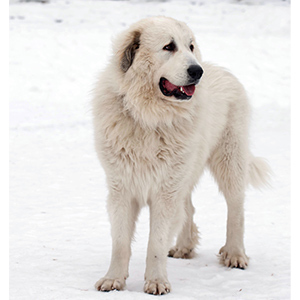 Due to a poor post Spanish Civil War economy and the disappearance of wolves and bears from the Pyrenees Mountains, their functional purposes were diminished as farmers no longer needed to (or could afford to) support a giant livestock guardian dog. By the mid-1970s, wolves began returning to the Pyrenees Mountains and this coupled with a small group of admirers intent on resurrecting the breed, helped the Pyrenean make a comeback. 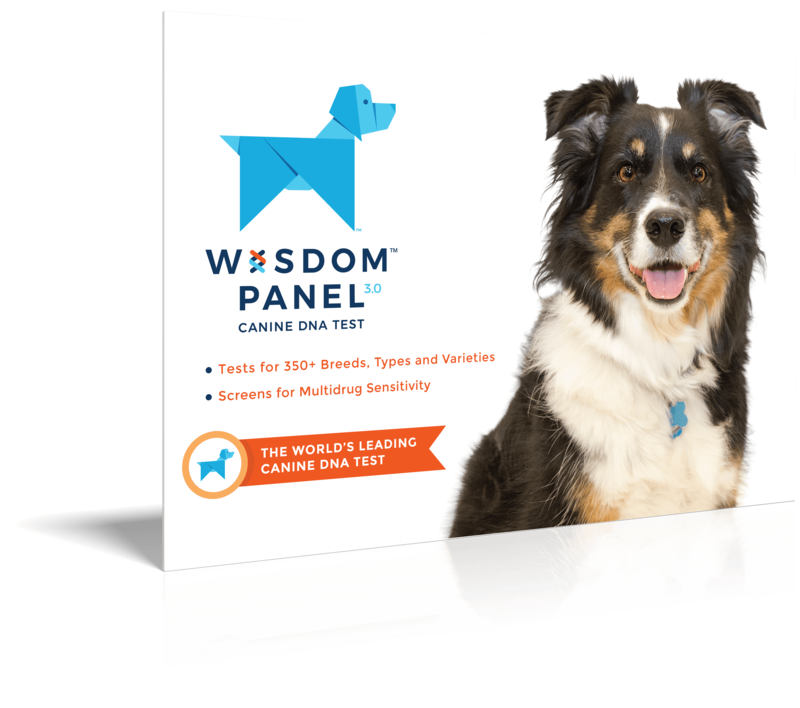 While still uncommon overall, these dogs can now be found in many countries throughout Europe as well as Russia, Australia, Japan, and more. 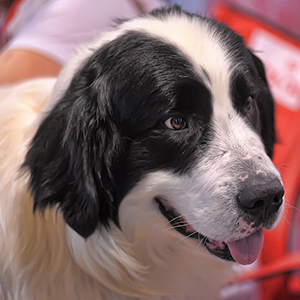 Lovers of the Newfoundland, and Saint Bernard will appreciate the thick, dense and cuddly coat of the Pyrenean Mastiff. Moderately longer on the shoulders, neck, under belly, at back of legs they have a beautiful plume on their tail. Their colouring is usually white with patches of colour (grey, golden, brown, black, beige, marble/merle) and you can’t miss their well-defined facial mask that always includes the ears. Ranging from 121 to 168 pounds (55-76 kg) there’s no debating that these dogs belong in the Giant size category. Because of their size and strength it’s important to have basic obedience training from an early age, though these dogs are generally calm, confident, gentle and affectionate. 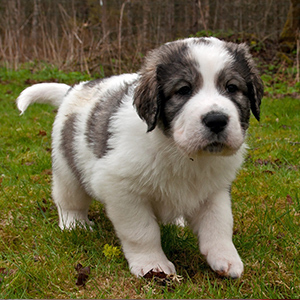 Very intelligent, the Pyrenean Mastiff is easily trainable which will help when steering them on the long walks they so love.